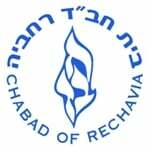 The foundational work of the Chabad movement. It lays down the practical and mystical fundamentals of the Chabad philosophy. It was authored by Rabbi Schneur Zalman of Liadi, the founder of the Chabad-Lubavitch movement. Discover that humanity has bought into our dream. That the pieces are neatly falling in place. That rays of a new dawn have already begun to shine. For a Jew, the Land of Israel is more than a place. It is a body for the soul of a people. Discover—and uncover—where Israel is in the heart of a Jew, and where the Jewishness is within the heart of Israel. Four thousand years of Jewish wisdom in practical application for today’s lifestyles. Meditations, dialogues, classic texts and contemporary works, sci-fi/fantasy and one-minute animations—a feast of diverse treats for the hungry spiritual seeker. Shabbat, kosher, mezuzah, tefillin, mikvah . . . The essence of Judaism is in its rituals and observances. A selection of websites offering information and guidance on some of the most basic mitzvot. What is kosher? How to keep kosher? What does it mean? All that and more, including stories, essays, videos and classes.